The first winter that my husband and I were married I spoiled him rotten. 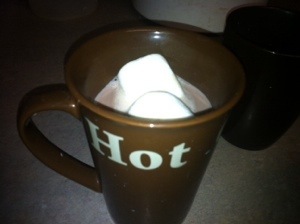 I made him hot chocolate the old fashioned way. He has never let me buy the packages since! Once you taste it from scratch, you will NEVER want to go back! I wish I could take credit for this recipe, but it is right on the side of the Hershey’s cocoa container. It has been since I was a kid. 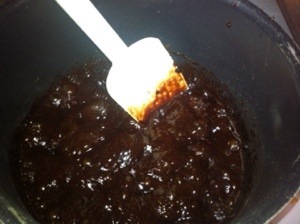 Put your water, sugar, salt and cocoa in a medium sauce pan. Cook over medium heat, stirring constantly. 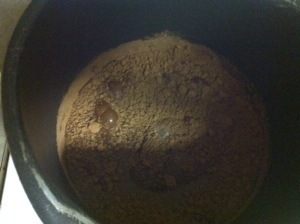 Once your mixture begins to boil, cook for an additional 2 minutes. Pour your milk in slowly. 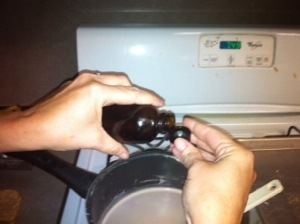 Do not let it boil again, just get it nice and hot! Add your vanilla and stir well. 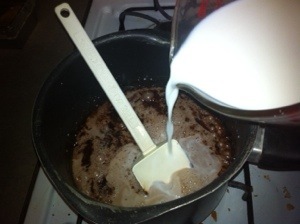 Pour into a mug and add some marshmallows or whipped cream. This makes 4 8-ounce servings.